No Wraith Petpets? No Problem! Your pet has just emerged from the Rainbow Pool, covered in purplish-black wisps and swirls. You finally bought that Wraith Paint Brush and you stand back to admire your new Wraith Neopet. Elated, you check your bank account balance and head back to the trading post, "wraith petpet paint brush," you type. After all, your new Wraith pet deserves a buddy to match! I could not find any lots fitting that description! says the faerie who helped you search. What, really? Nothing? You rush back to the Rainbow Pool to look at the list of petpet colors. Water, White, Woodland…wait. Where are the Wraith petpets? So what’s a loving pet owner to do? You can’t just leave your brand-new Wraith pet without a loyal petpet companion to match! Shh, shh, there there, you’ll make it, I’ll help you. Together, we’ll find the perfect petpet for your Wraith Neopet. What petpet species go with my Wraith Neopet? While there is no Wraith Petpet Paint Brush, there are still some species of petpets that will match the aesthetic of Wraith Neopets. The swirls, the misty glow, the flickering wisps of a wraith pet are mirrored in several petpet species. You might just find the perfect buddy for your Wraith without ever buying a petpet paint brush! My statement at the beginning of the article was untrue—there actually is one, just one, Wraith petpet in existence. The Captive Shadow Wraith petpet was a prize from The Faeries Ruin plot when Faerieland fell from the sky. Scary, shadowy, and mysterious, this special petpet is one-of-a-kind! However, as the only Wraith-related petpet, it’s overused for Wraith Neopets. Plus, since it was a special plot prize, this limited petpet is quite expensive—users are selling it on the Trading Post for 700,000NP and up. So what are some alternatives? Petpet species that will match well with your Wraith pet can be grouped into two categories—the ones with similar patterns, and the ones with a similar glow. Wraith Neopets have swirls and flame-like flickers all over their body, making them look somewhat like fire. Two petpets that fit this description are the Baby Fireball and the Melton. Both petpets are very affordable at less than 5,000NP, and can give your Wraith a warm friend, for life. Just don’t let them try to bathe these petpets…they might extinguish! The iconic purple glow surrounding Wraith Neopets makes for a spooky and otherworldly effect. It’s no wonder that three petpets that complement this design are from outer space and the Haunted Woods! The Blobagus glows in the dark, and has crackling energy all around it, making it a great match for a Wraith Neopet that has shadow energy around it. The Gremble petpet is a strange creature with a furred body and a face stitched together from fabric; the wild shadow-like hair jutting out from its head make it a perfect fit for any Wraith pet. And the body of the Nebularis is nothing but swirling energy, just like a Wraith! The three petpets vary wildly in price. Nebularis are a prize from weekly Premium Scratch Cards, and the average Premium user wins one a month. They cost a mere 50NP—practically free! Blobagus run at a few thousand NP. Gremble, however, cost between 700,000NP and 1,000,000NP, so they’re fairly pricey. However, a Gremble could be a more offbeat companion for a Wraith pet, as most Neopet owners probably haven’t thought of the combination, and this unique pairing could make the pricetag worth it. What petpet colors go with my Wraith Neopet? We’ve taken a look at individual petpet species to match with your Wraith pet, so now we turn to the Petpet Puddle to learn what it has to offer. The dark purple of Wraith Neopets blends well with several colors, and the shimmering aesthetic of Wraith pets is reflected in several other paintbrush colors. Then there are even more options if you just want that scary feel to go with your scary Wraith! Wraith petpets are a deep violet with deeper shades of black, but you may be surprised to see Purple petpets left off the list. While I considered it, I ultimately decided that Purple petpets were simply the wrong shade of purple—far lighter than the inky depths of the Wraith Neopets. To match with the dark colors of the Wraith pets, try going for the Black Petpet Paint Brush or the Stealthy Petpet Paint Brush. The flat color of Black petpets can be achieved for 400,000NP, but the Stealthy color is much more expensive—about 1,500,000NP. Still, the extra investment for Stealthy could be worth it, as Stealthy is a much more dynamic color and gives the petpet clothing. As in the previous section on petpet species, there are several petpet colors that mimic the swirling, fluttery aesthetic of the Wraith pets. Fire and Ghost achieve the surreal glow around the petpet, while Magma and Water petpets have a similar pattern to the shimmering bodies of the Wraith color. 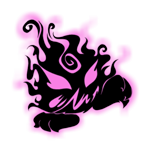 Many, many petpets come in Fire and Ghost color, while comparatively few species can be painted Magma or Water. This leaves a choice between variety, and uniqueness. A touch decision! Fire and Ghost Petpet Paint Brushes run between 100,000NP and 200,000NP, an affordable paint job as far as petpet brushes go. The Magma Petpet Paint Brush runs between 600,000NP and 700,000NP, and the Water Petpet Paint Brush will cost you 700,000 – 800,000NP, both hefty sums. But for your beloved Wraith petpet, it isn’t about the price tag. Want to steer away from aesthetics altogether and just go with the spooky, scary feel of your Wraith pet? You’re going to want to invest in a Halloween, Mutant, or Zombie Petpet Paint Brush. While many of the Halloween petpets are very whimsical, reminiscent of Halloween candies or silly costumes, some others are quite frightening! Mutant petpets come in a variety of colors and twisted shapes, and some will even match the color scheme of your Wraith pet. Meanwhile, Zombie petpets have soulless, staring eyes, very much like the empty eye sockets of your Wraith pet. Surprisingly, Zombie Petpet Paint Brushes are the least expensive of the three, at less than 200,000NP. Halloween Petpet Paint Brushes ring in at 400,000 – 500,000NP, and Mutant Petpet Paint Brushes at 500,000 – 600,000NP. With the huge variety to choose from in the many designs of these types of petpets, it might be worth it to invest! Someday a Wraith Petpet Paint Brush might be released, opening the door for Wraith Neopet/petpet combinations that are painted the same color, but for now, we have to seek alternatives. Whether you choose an unpainted species to complement your Wraith pet, or paint another type of petpet in a color to reflect the Wraith aesthetic, you now have the tools necessary to choose a companion for your Wraith. Time to go shopping! It was late at night, so the streets not far from their hideout were bursting with activity. Probably a bit early to tell spooky stories, but Grace had the undivided attention of the two boys. “So?” Teaser interrupted her, “It's not like a wave could get all the way here to Wraithland”. A benevolent woodland hamlet where the skies are dark, the moon is beautiful, and glowing motes pass overhead while we all study when we should be sleeping. Welcome to Darkvale. His workshop, for the most part, was out of the sight of the general population, and it was generally deserted. Then, one day, during a particularly harsh snowstorm, a Neopet named Bob strayed off from their hiking trail and stumbled onto the first lit building they saw. A knock on the door shattered the silence, making Edward jump out of his skin.